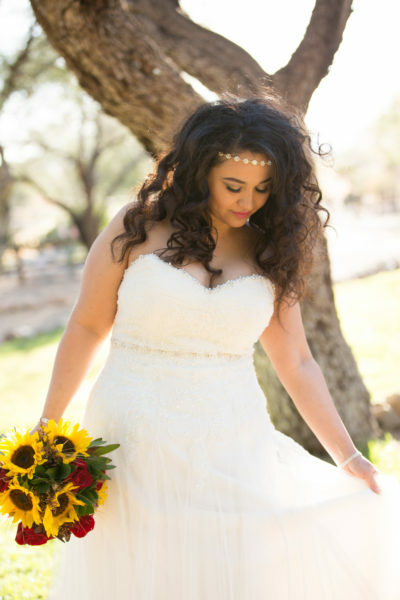 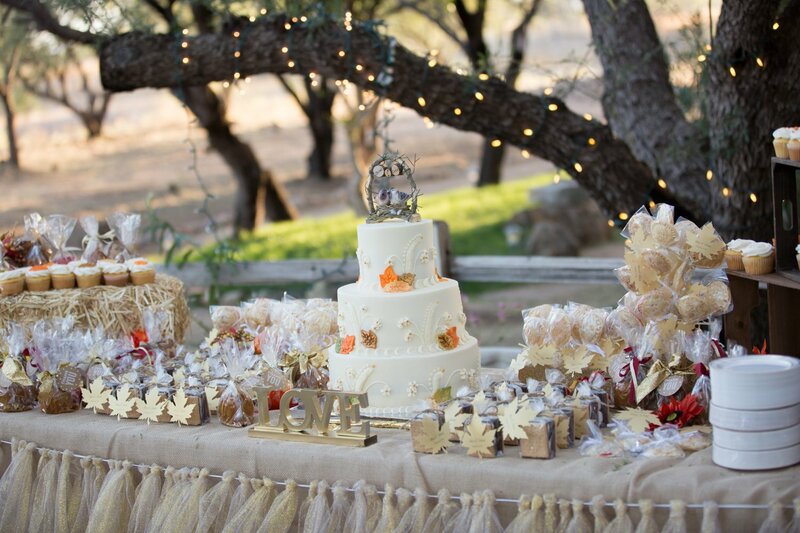 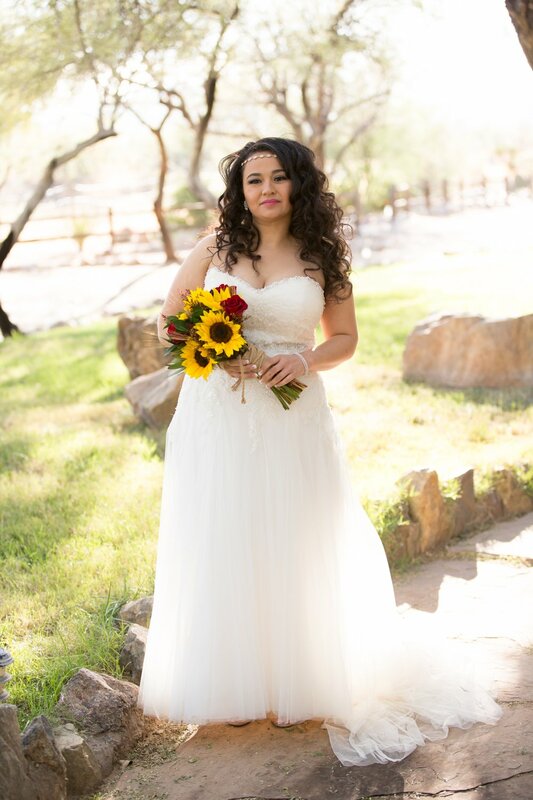 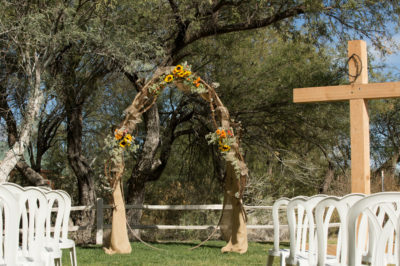 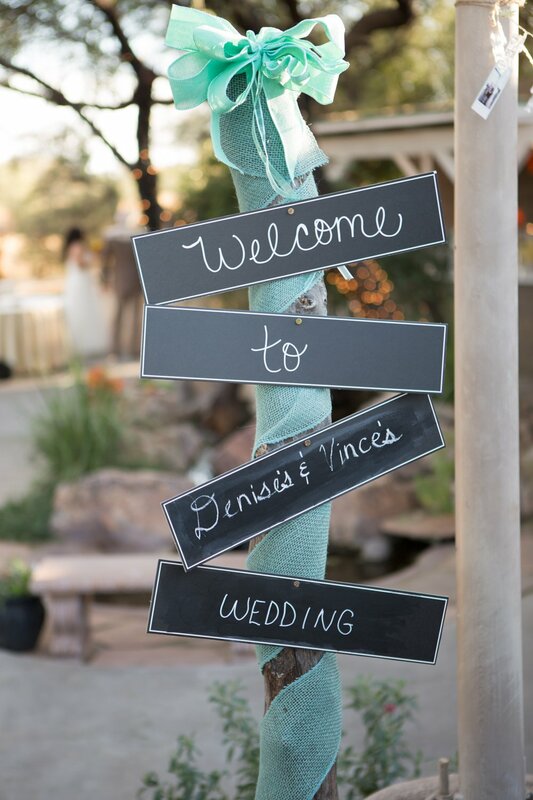 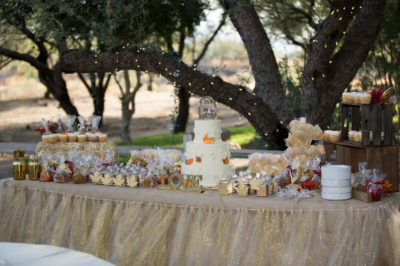 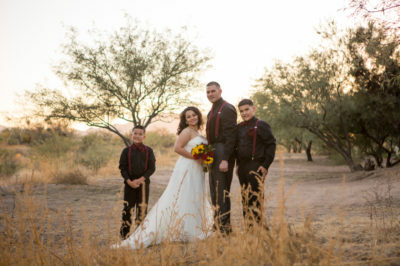 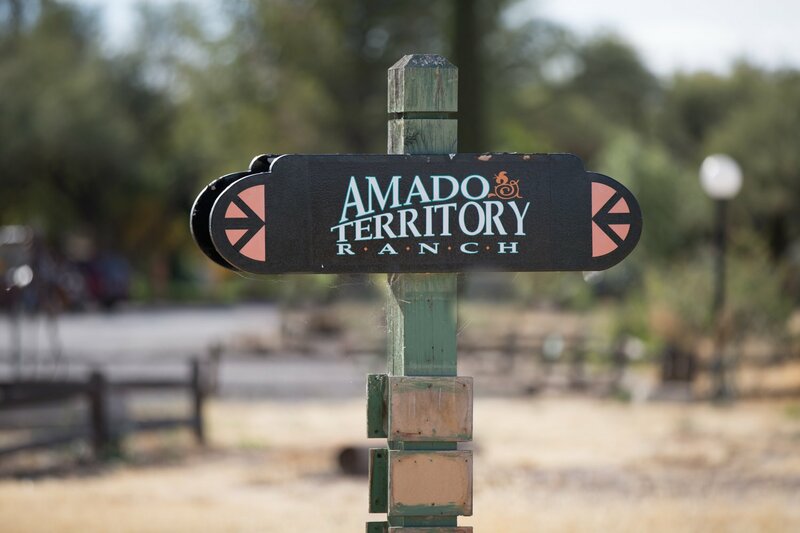 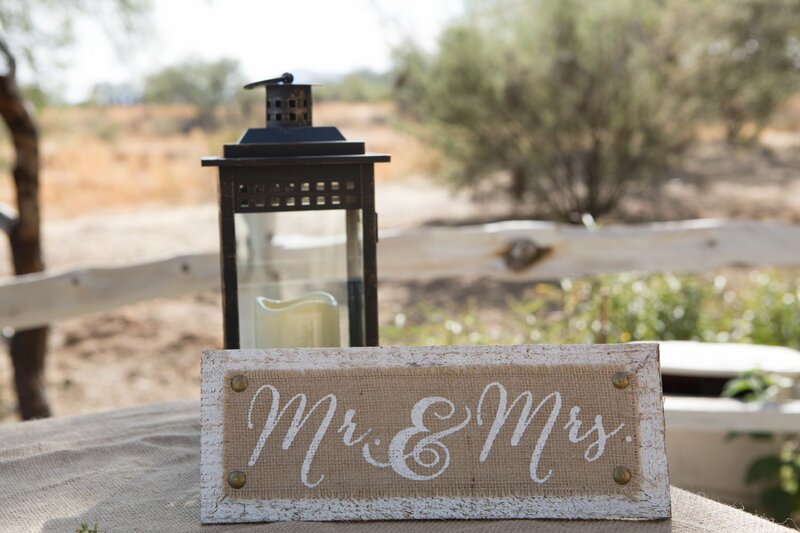 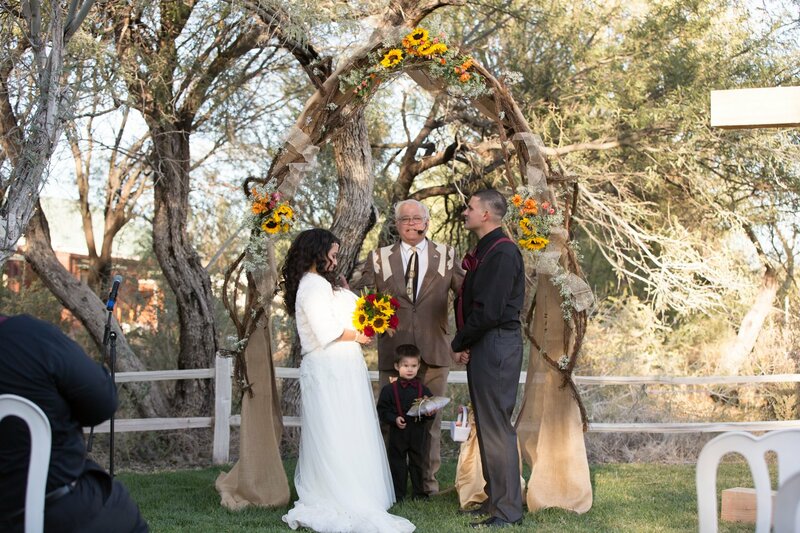 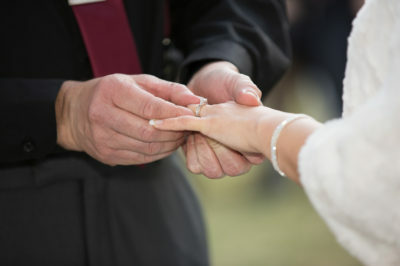 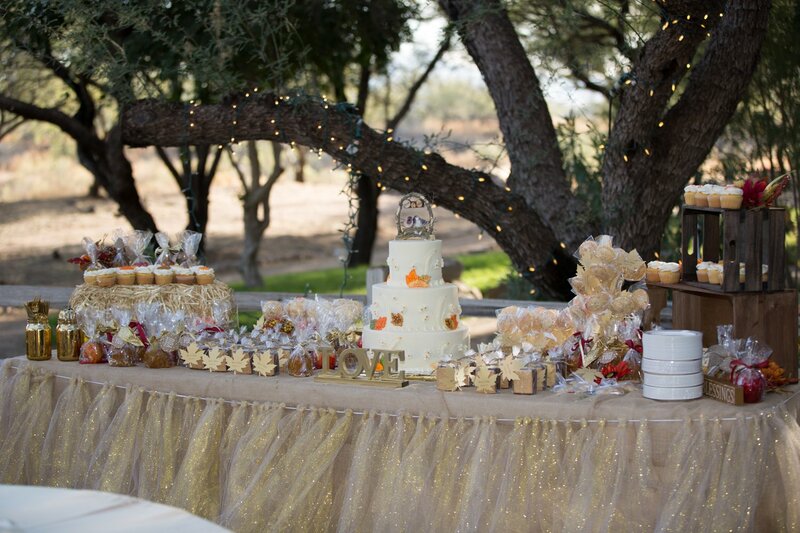 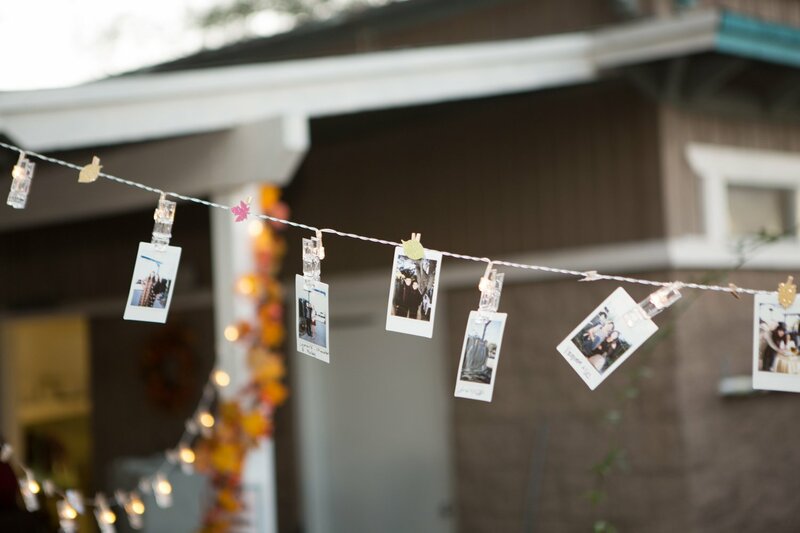 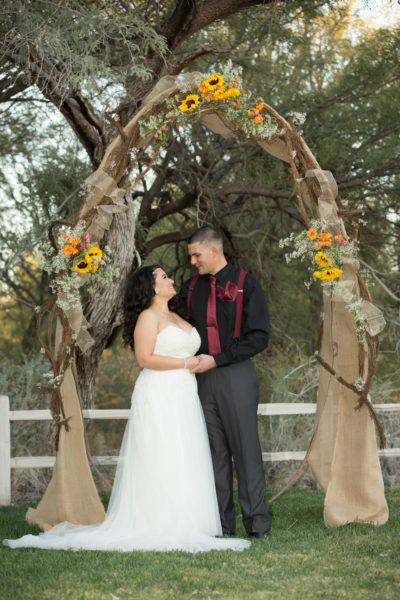 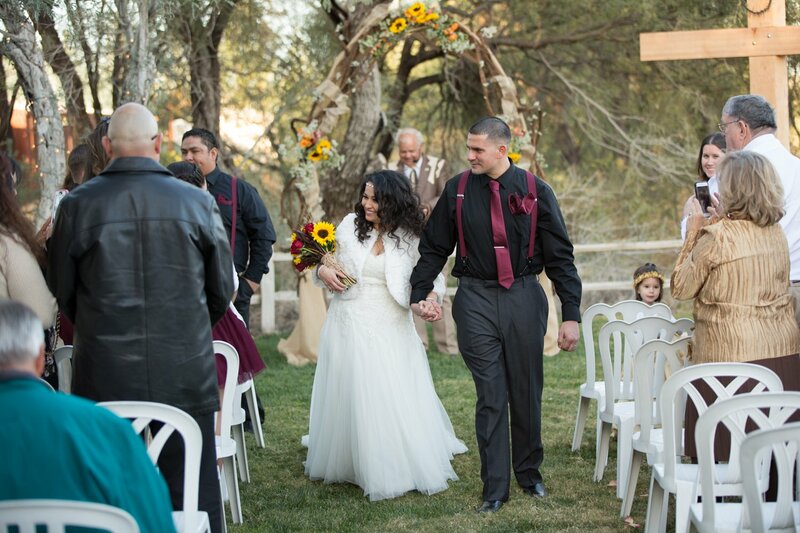 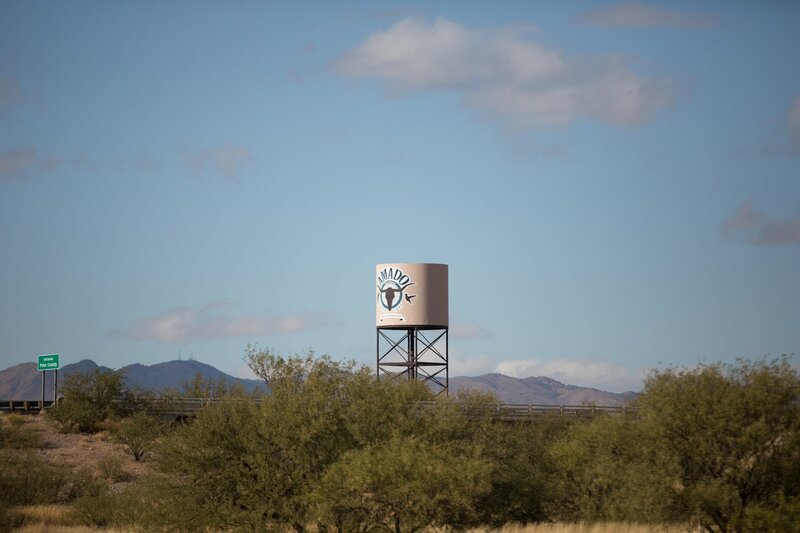 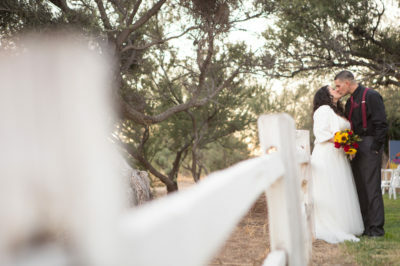 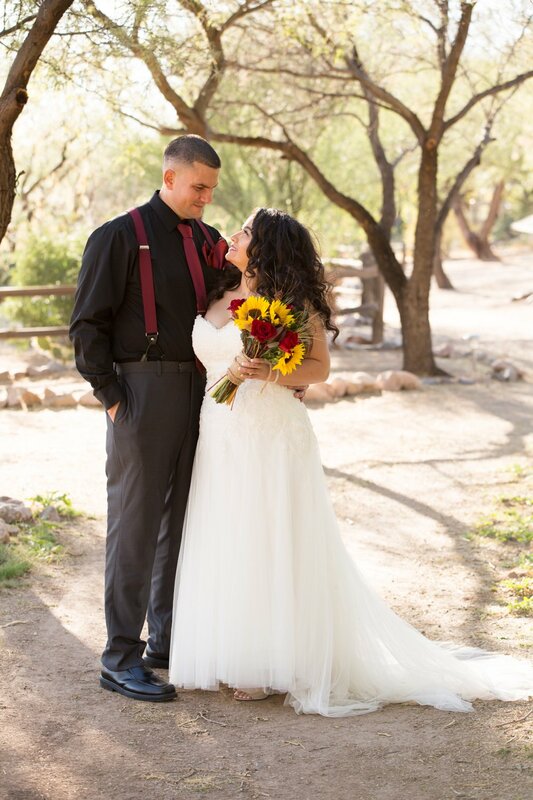 Amado Territory Inn located in quaint Amado, Arizona is perfect for couples looking for an outdoor setting for both ceremony and reception. In addition, there is a lovely bed & breakfast for guests to stay and couples to get ready on their big day. The area is extremely private on over an acre of manicured lawns. 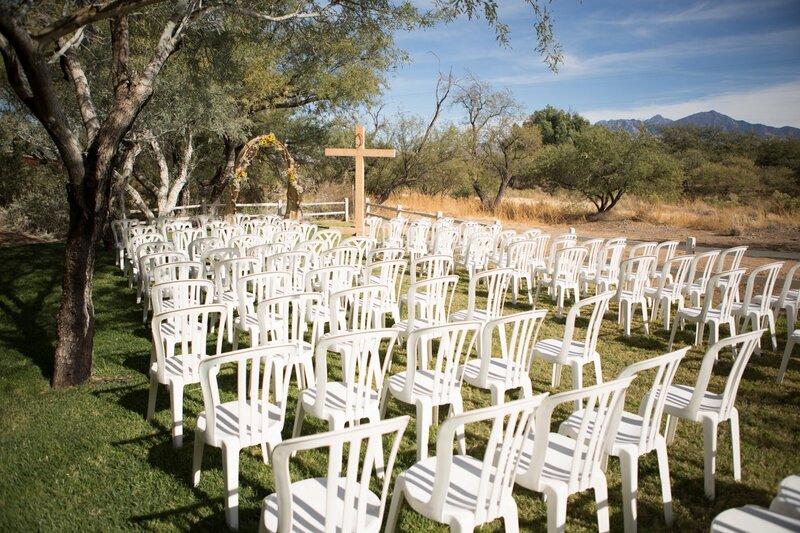 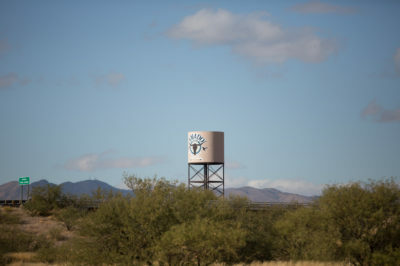 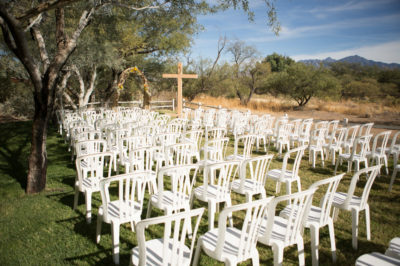 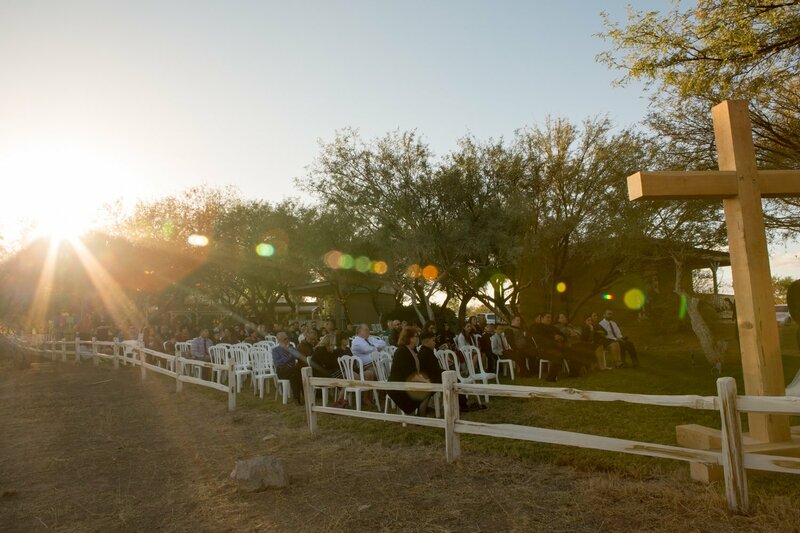 The ceremony location overlooks the Santa Rita mountains. 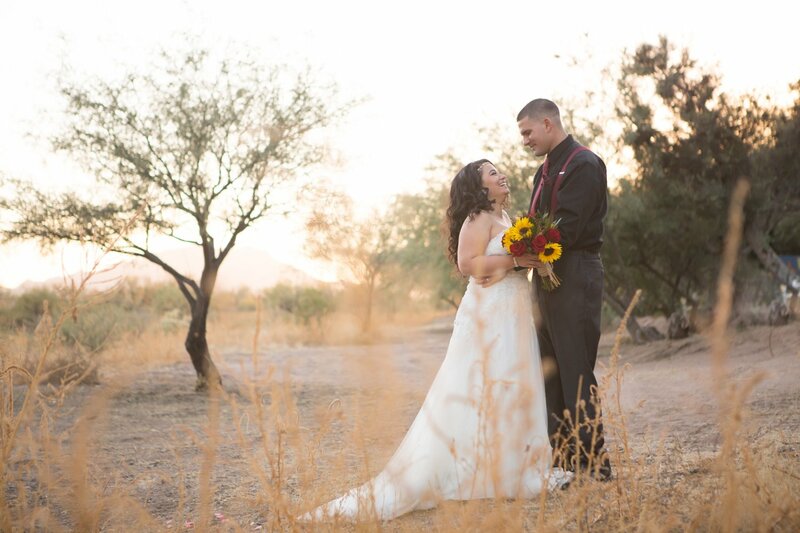 The picturesque mountains is the only thing in site for miles. 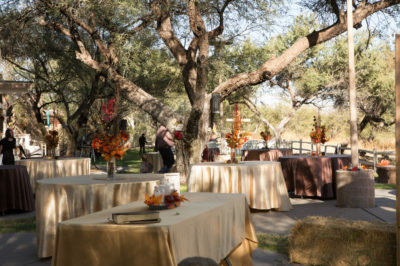 The reception area is down the path and allows for couples to customize their table layout with still enjoying the mountain view. As wedding photographers, we love the tall grass and white picket fence that this venue has around the property.